Successfully Added Iradish X3 Smartwatch - 1.33 Inch IPS Display, Integrated Camera, 240x240 Resolution, 32GB External Memory, Pedometer (Black) to your Shopping Cart. The Iradish X3 Smartwatch puts the functions of your smartphone directly on your wrist. Featuring a sleek and stylish design this budget smart watch holds all the features you could possibly search for in a smartwatch and is now available for a remarkably low price. 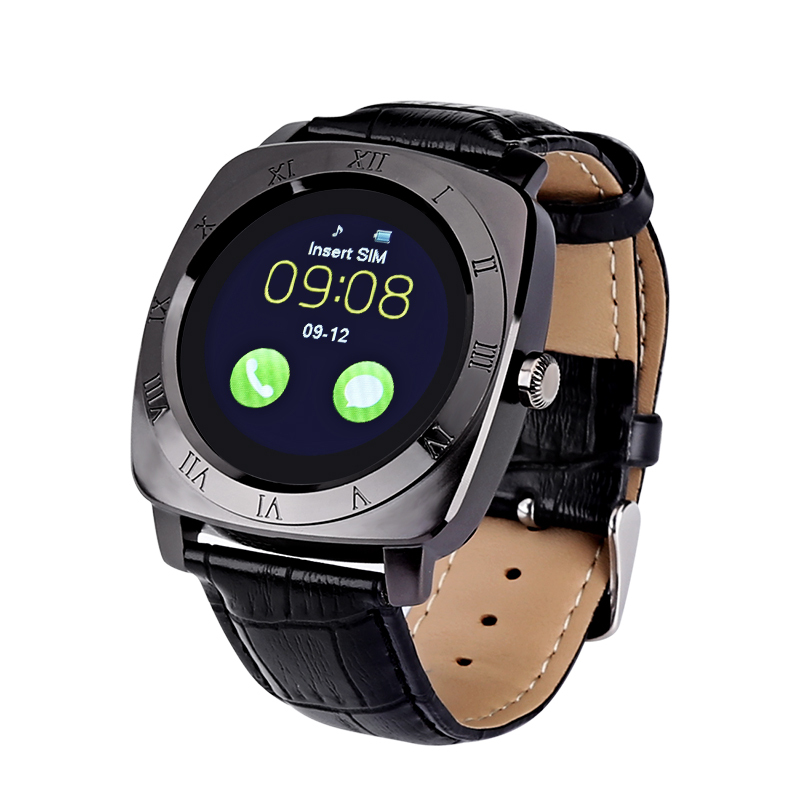 Holding a SIM card slot the Iradish X3 Smartwatch lets you dial and answer phone calls straight from your wrist. Even when no SIM card is inserted you are still capable of making phone calls as long you are without Bluetooth range of your smartphone. Additionally, this budget smartwatch lets you send and receive text messages, allowing you to have a good interaction with friends and family wherever you’re headed. Featuring a pedometer and sleep monitor the Iradish X3 Smartwatch will gradually lead you to a healthier life by letting you track your workout sessions and sleep quality. Its built-in speaker furthermore allows you to play your favorite music to accompany you during your workouts by simply syncing your smartwatch with any Bluetooth enabled device. Its integrated camera allows you to simply snap pictures where ever you go. Equipped with a 1.33 Inch IPS touch screen the Iradish X3 Smartwatch lets you watch back all your pictures and files in 240 x 240 resolutions, providing you with HD image quality and a great user experience. With the possibility to add up to 32GB in external memory this budget smartwatch offers enough space to store all your pictures snapped at the favorite and most unforgettable moments in life. The Iradish X3 Smartwatch comes with a 12 months warranty, brought to you by the leader in electronic devices as well as wholesale electronic gadgets..
As it is described as iradish x3 smart watch as their is logo at the back of watch in photos , the one in which their is no such logo which i have received. Seems to be some different company's watch. overall good watch.